Review - Pizza Capers - Does My Bomb Look Big In This? Forget Paul Hogan, it’s the southern states of the US that know their BBQ. 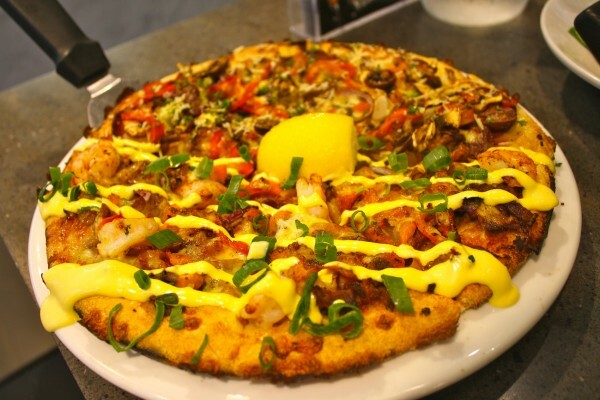 Pizza Capers have taken this on board with their Bourbon Chicken and Bacon Pizza ($15.95/regular) encapsulating the smoky BBQ flavours of classic American street food. They also throw some Tassie blue cheese on for good measure and load it up with sizzling bacon. If you think that sounds decadent, it’s topped with chicken wings. This pizza joint on the outskirts of Bronte is perfect for weeknight take-out, this place isn’t about greasy cardboard and ‘two for Tuesdays,’ but quality ingredients, punching with flavour, and staff who give a damn. 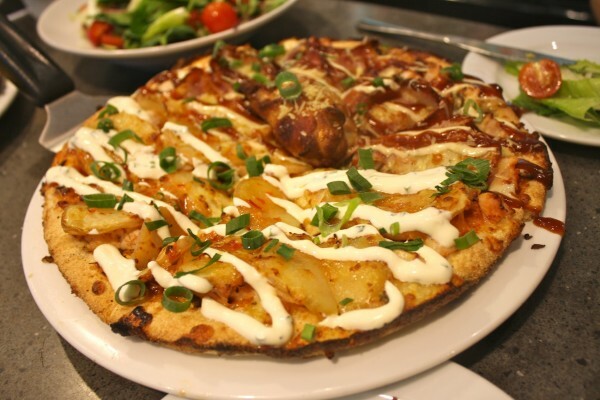 Sticking with the southern flavours we try the New Orleans ($14.95/regular) - like two meals in one- a Cajun chicken pizza topped with thinly sliced potatoes, mushrooms and pizza sauce. They do light too (everything is calorie counted): the Capers Supremo ($12.94/regular), is a classic supreme that doesn’t get dulled down with cheese, instead it’s dusted with Parmesan. 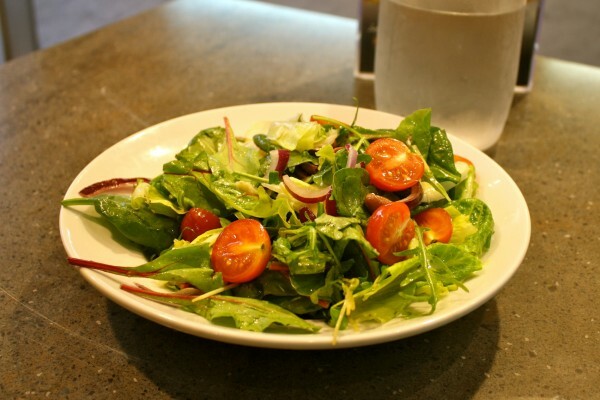 Likewise, the Mediterranean Salad ($9.95) is fresh, crisp and lightly drizzled with Italian vinaigrette. 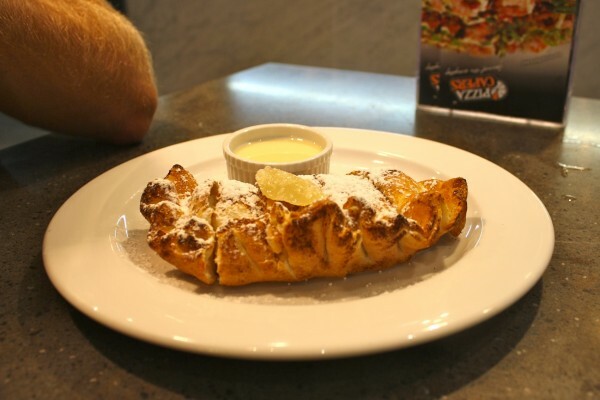 The dessert pizzas are also good: calzonés are cooked like French pastries - pick the Pear and White Chocolate ($6.95). Best of all, the pizza gets the next day leftover tick of approval.